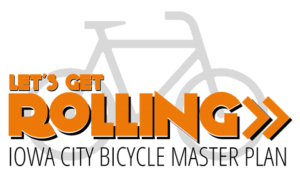 The intent of this open house is to learn about the planning process, provide input on existing bicycling conditions, and identify potential improvement areas. Details at Let’s Get Rolling – IC Bicycle Master Plan. Additionally, there is a Bicycle Master Plan Survey that is being used to gather input. The survey takes some time to go through but provides valuable data to the city as well as the University. Think of this as a Strava Heat map – enter your normal commuter route and identify locations that are “sketchy” as well as good. This could be lack of defined bike lane, poor maintenance, no connectivity, etc. You can comment on others routes as well. Folks, this is the time to get some work done. We have key people involved in the planning process, and there is considerable momentum on several fronts. Please take the time to pass along your input. Also, Emily Robnett and Ben Anderson are both on the Bicycle Advisory Committee for this Master Plan. Feel free to talk with us at any time. Complete the 2017 Kit Order Form indicating size and quantity. Order what you think you need for the 2017 season! Note – we will be evaluating a clothing provider change and kit design change for the 2018 order! What size and types of Kits should I order? 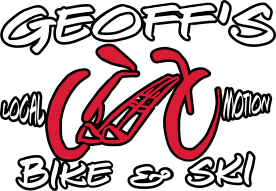 Fit kits at Geoff’s Bike and Ski from November 1st through 20th. ID numbers on order from (EG #20829) will be on kit tags. Review the order form for more details. When are orders and payment due? Kit Order Forms with payment (cash or check payable to Iowa City Cycling Club) due by December 1st, 2016. Kits should arrive prior to the first race of year which is around early March. Notifications will be sent when kit arrive and pick-up locations will be at the shop on a designated night. If you can’t make that night, other arrangements can be made. How do I join Iowa City Cycling Club? It’s easy – just purchase a kit for the 2017 season. Are the Kit graphics and style going to change? Louis Garneau will be providing the kits again this year and there will be no graphic changes for 2017. However, a clothing provider and graphic change will likely take place for 2018 kit order. What does Geoff’s Bike and Ski get out of this? Geoff’s graciously allows ICCC to have the fit kits at the shop and answer questions. Please take the opportunity to browse their merchandise and maybe even buy a cross bike! 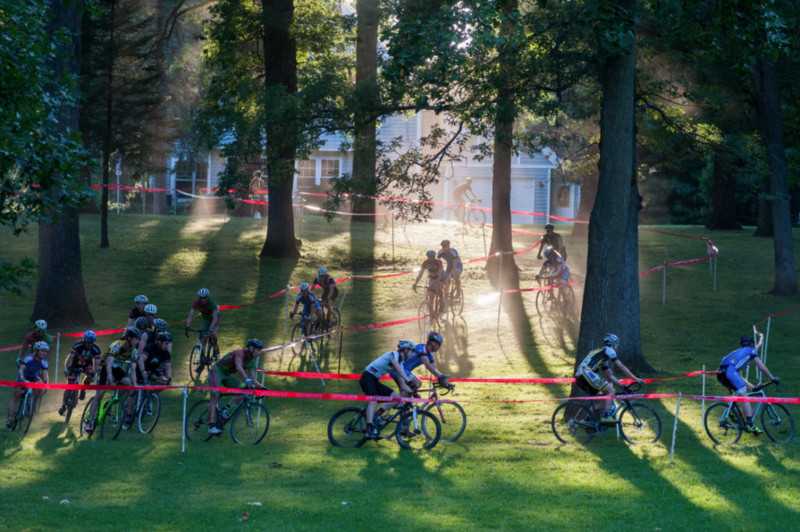 Jingle Cross is this weekend and we need your help! We’re fortunate that our generous community loves to volunteer, and what a better way to meet people from all over the world than lending your time to the World Cup festivities? Help us show the community’s excitement for the Telenet UCI Cyclo-Cross Wold Cup and Volkswagen Jingle Cross events by signing up to be a volunteer. Volunteers receive a free t-shirt and two complimentary tickets to the Telenet UCI World Cup event on Saturday. We’re looking for help with crossing guards, parking attendants and many more duties. Click on the “Sign Up” button below for all the volunteer opportunities. Volunteer Waiver form: Please print and fill out this waiver form and either email to laura@iowacitycoralville.org or bring with you and give to the volunteer check-in staff. Volunteer Only Parking is in the orange lots. Contact Laura at Laura@iowacitycoralville.org for any volunteer questions. Due to storms and rain in the forecast, we have been forced to reschedule Chamois Time CX to next week, Sept 15th. CONSTRUCTION NOTICE–Driving directions/detour!!! We recommend avoiding Dubuque St, as it is under construction. If you’re coming from the West, take the 1st Ave exit off Interstate 80. If you’re coming from the east, either take the Dodge Street exit and go through town, coming in on the south side of the park via Riverside Drive OR also take 1st Ave exit (one exit past Dubuque Street and come in via Rocky Shore Dr or Riverside Dr. Registration: Opens at 4:30pm and closes 30 minutes prior to each race. Racing will start at 5:30pm. Note: This is one hour earlier than our usual start times due to earlier sunset! Make sure to arrive early if you want to do pre-laps, as the course will not be open between races. Chamois Time Mtn TT – Rain Cancellation – AGAIN! Mother nature is conspiring against our little event this year, and regrettably we must postpone the Chamois Time Mtn TT once again. Due to the rain we received last night, the trails are closed, so we’ll try again next week. Note, however, that we are shooting for a THURSDAY evening date, not the usual Wednesday evening. As always, check the race page and Facebook for any updates.